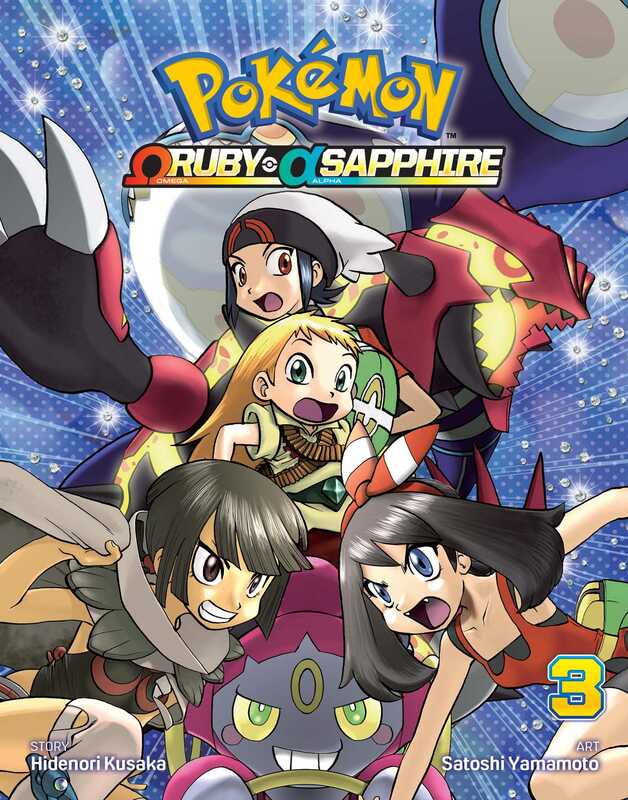 Awesome adventures inspired by the best-selling new Pokémon Omega Ruby and Alpha Sapphire video games and picking up where the Pokémon Adventures Ruby and Sapphire saga left off! When Lorekeeper Zinnia launches an attack on Sea Mauville to prevent our friends from charging the Dimensional Shifter to protect the planet, Ruby attempts to steal her scroll and its secrets. Meanwhile, after learning the shocking truth about the falling meteor, Sapphire loses her voice. And then she is transported through a mysterious ring to…where?! And what does Mythical Pokémon Hoopa have to do with all this...?